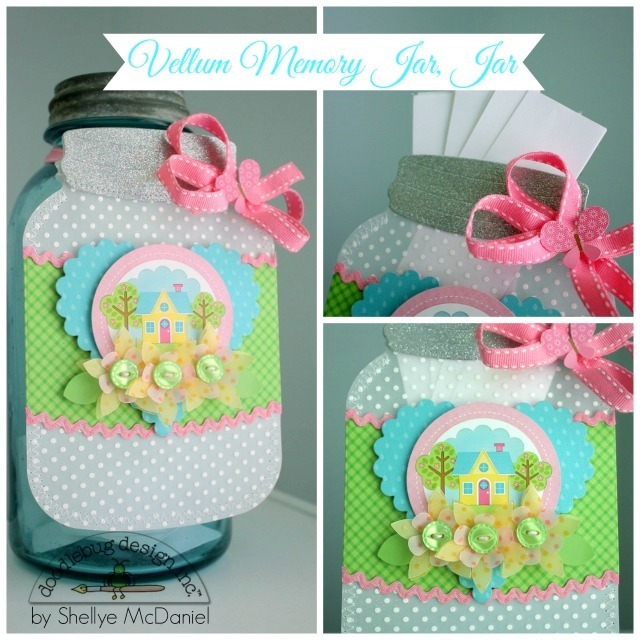 members to jot down their own memory and then add it to the jar! in case you need a smaller cut for a smaller jar. die-cutting. I made an effort to match up the dots (front to back) before cutting. 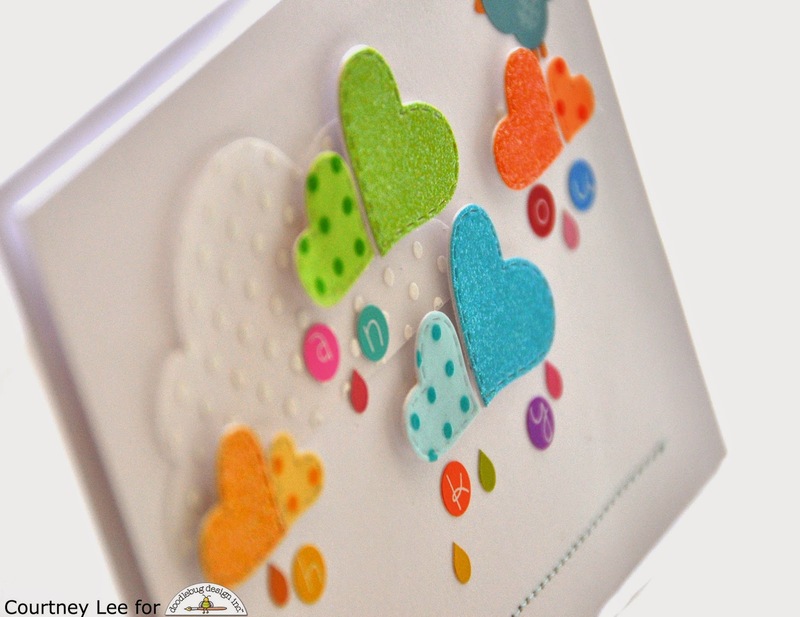 You could also use a plain sheet of cardstock for the backing. opening at the top. Next, I die-cut the lid from silver glitter paper. The lid and 'label' are a part of the accessory set that goes with the jar die. I die-cut the green gingham paper and then glued on some trim by Petaloo. vellum flowers...I used two different punches to create the fun layering of the flowers. Next, I took a few of sheets of regular copy paper and cut into 4.25" X 2" strips. 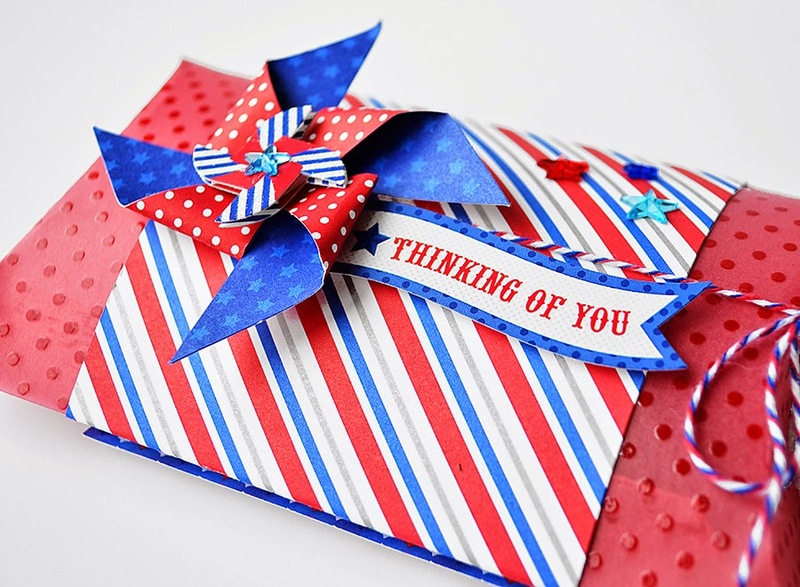 are hand-written notes and memories that are put into someone's own words. 1. 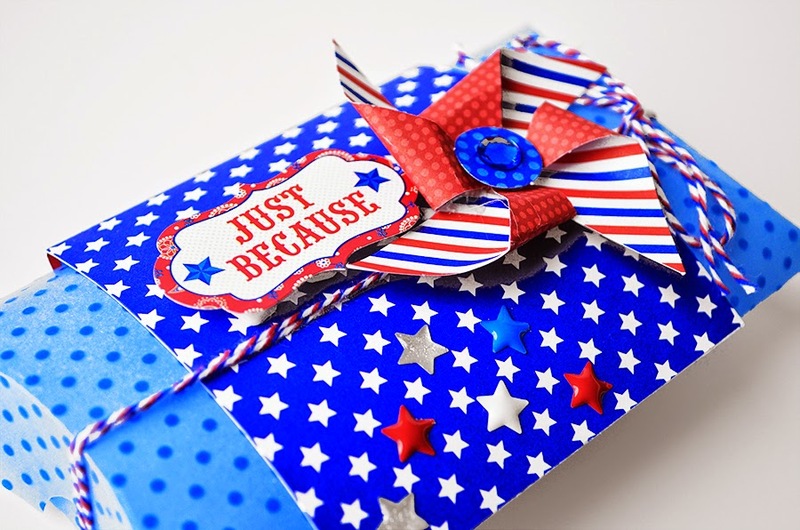 Leave a comment about why you love Doodlebug. 2. Follow us on Facebook, Instagram or Pinterest. Leave a comment for each one that you follow us on. 3. Share a link to this post with your Facebook friends, leave a comment when you've completed. You will have all weekend to participate and we'll pick SIX WINNERS and announce them on Monday, June 30th. Hello Doodlebug Friends! 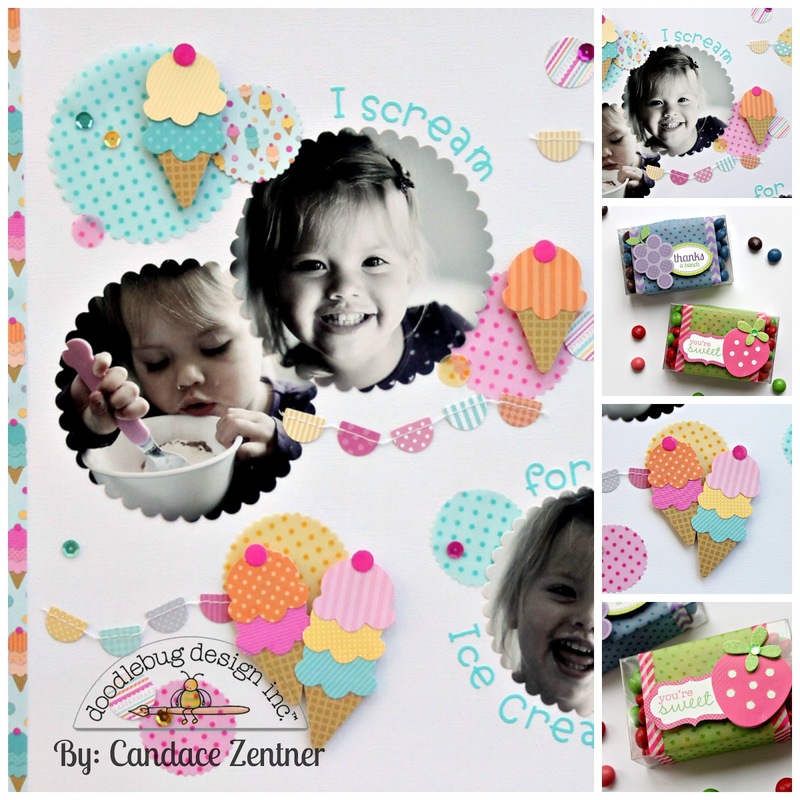 It's Wendy Sue here today, sharing a fun little project with this awesome Doodlebug "Sprinkles Vellum!" 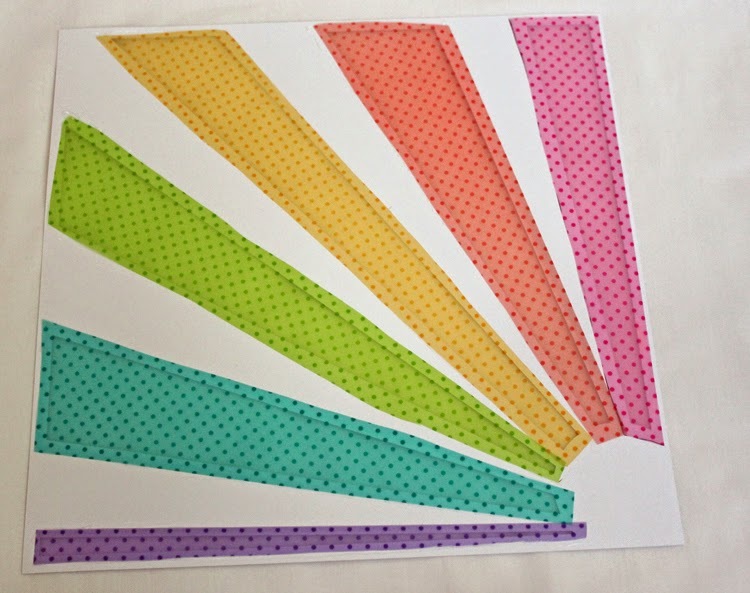 I had about a million and one ideas I wanted to try with this unique vellum with glossy embossed polka-dots (sprinkles) - but this project was at the very top of my list! I was hoping the vellum would be heavy enough to be used as some type of gift container. 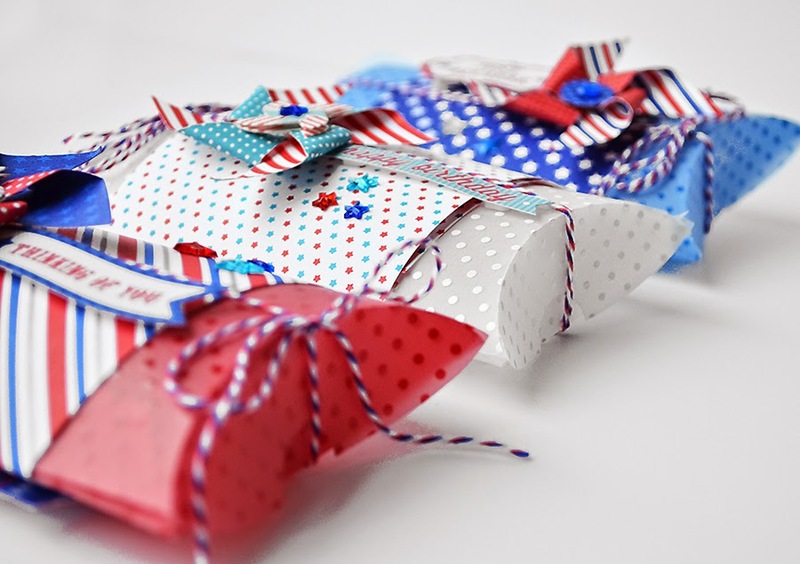 I cut these little pillow boxes using my Silhouette, with my fingers crossed, and it totally worked!! 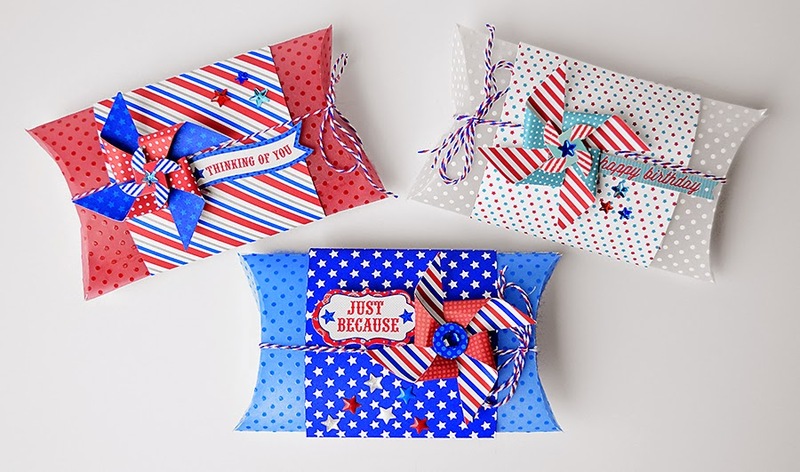 I assembled the boxes with strong adhesive and embellished each box with fun papers, stickers, and embellishments from the Patriotic Parade collection. Since these boxes are vellum, the recipient gets a little peek at what might be inside - how fun is that?!? Hey Doodlebug friends!! Candace from Scrappin' 2 Little Princesses here today. 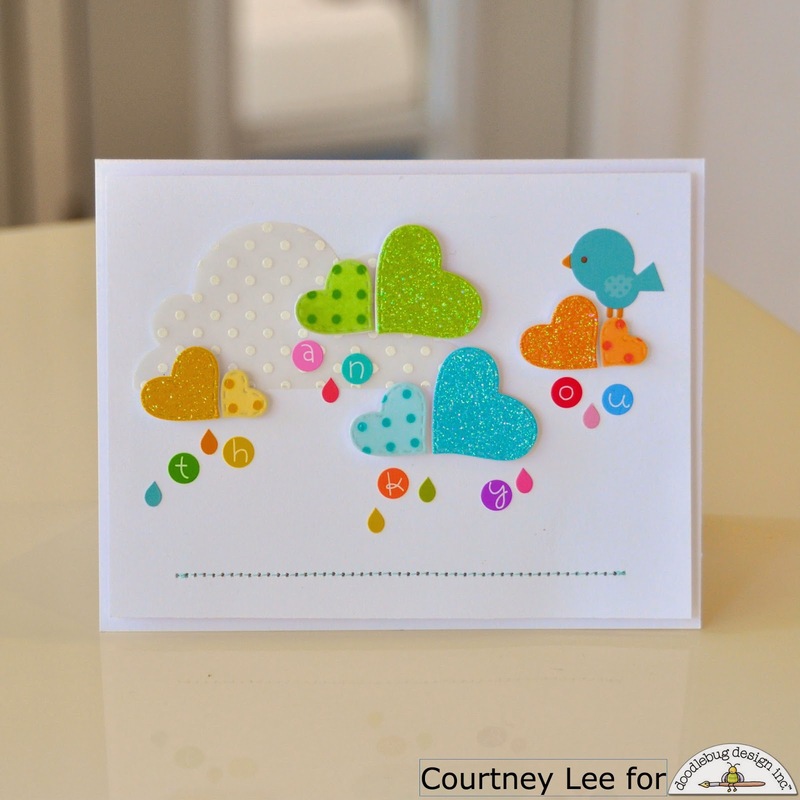 I know you have all seen the totally yummy polka dot sprinkled vellum from Doodlebug and I'm sure a lot of you even own some. 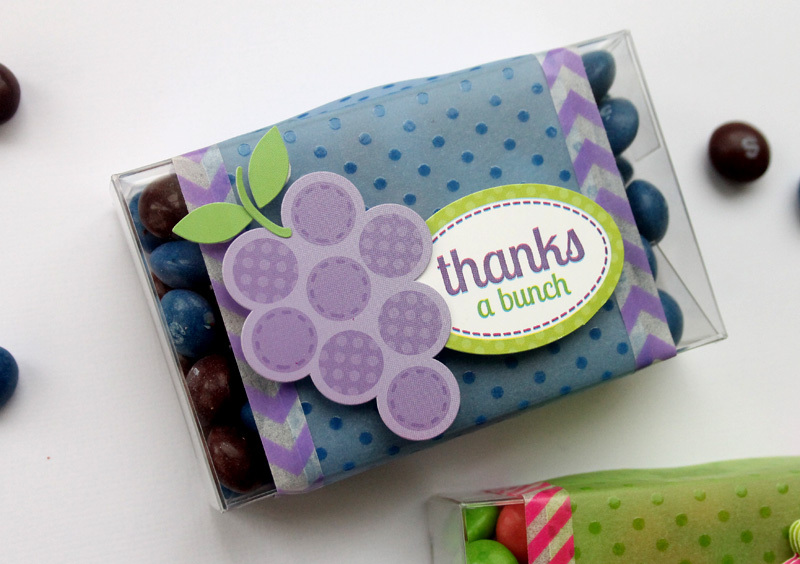 I have a couple projects to share today using this super fun product! 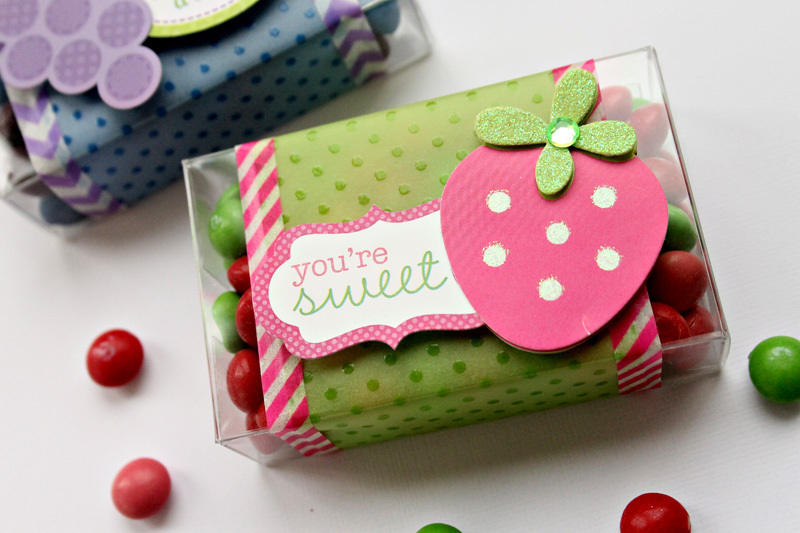 The first project I wanted to share is a little treat box I decorated filled with skittles. 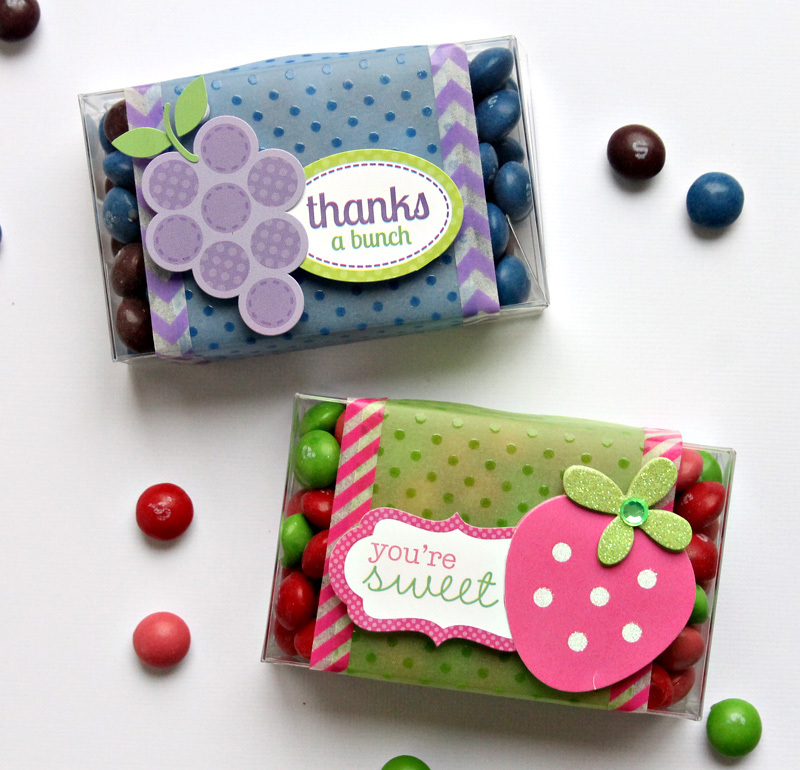 I thought these would be great quick little gifts to brighten someone's day with. 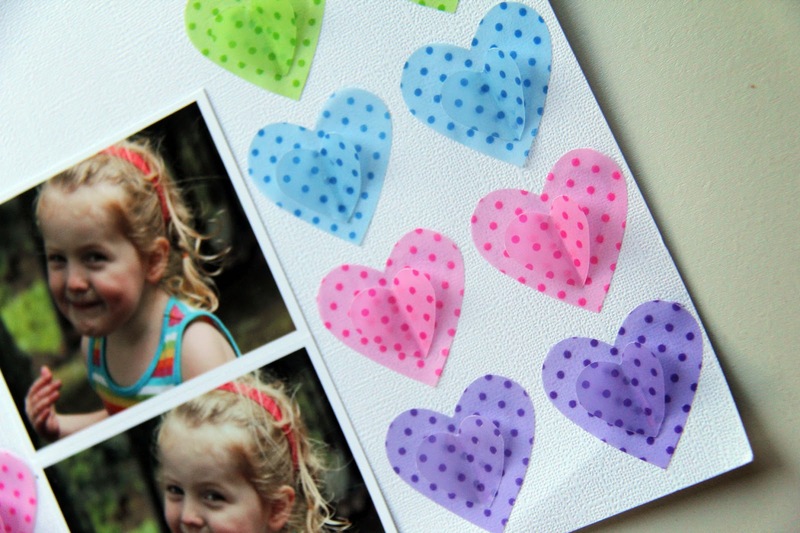 These were super easy to make using some Doodlebug vellum, washi tape and stickers. I cut a long strip of vellum, wrapped it around my clear boxes and adhered the end using a couple small pieces of two sided tape. 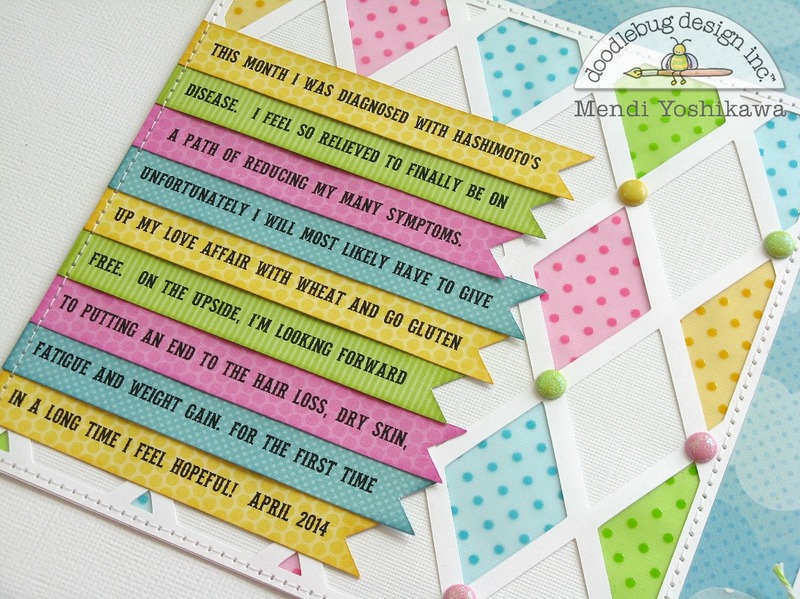 To add a little more detail, as well as to hold the sides of the vellum in place, I used some of Doodlebug's awesome thin washi tape. 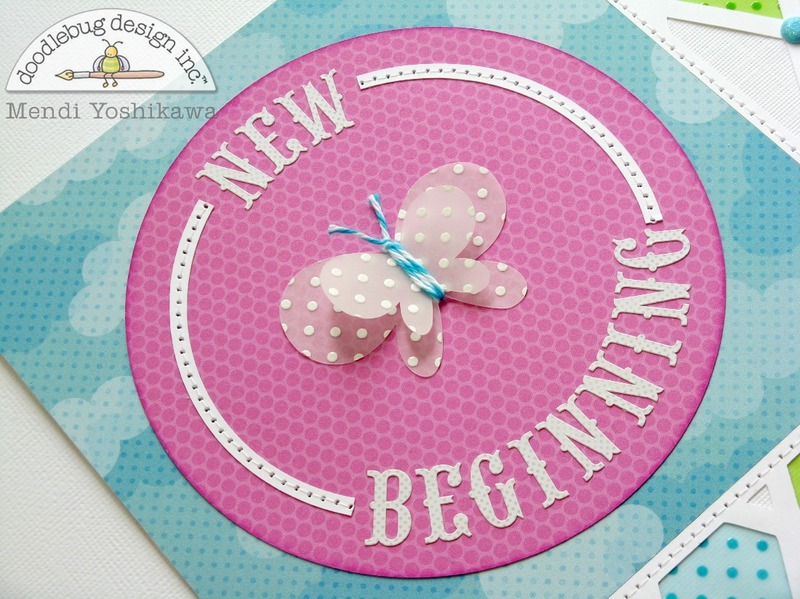 My second project is a layout using various colors of the vellum cut in scalloped circles using dies. 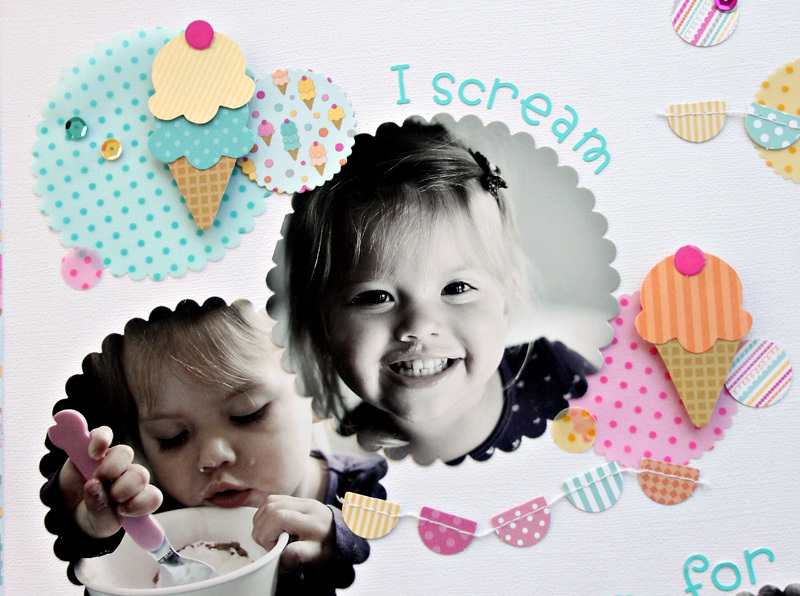 I find using dies with vellum is a super easy, no fail way to add great detail and layers to a project. 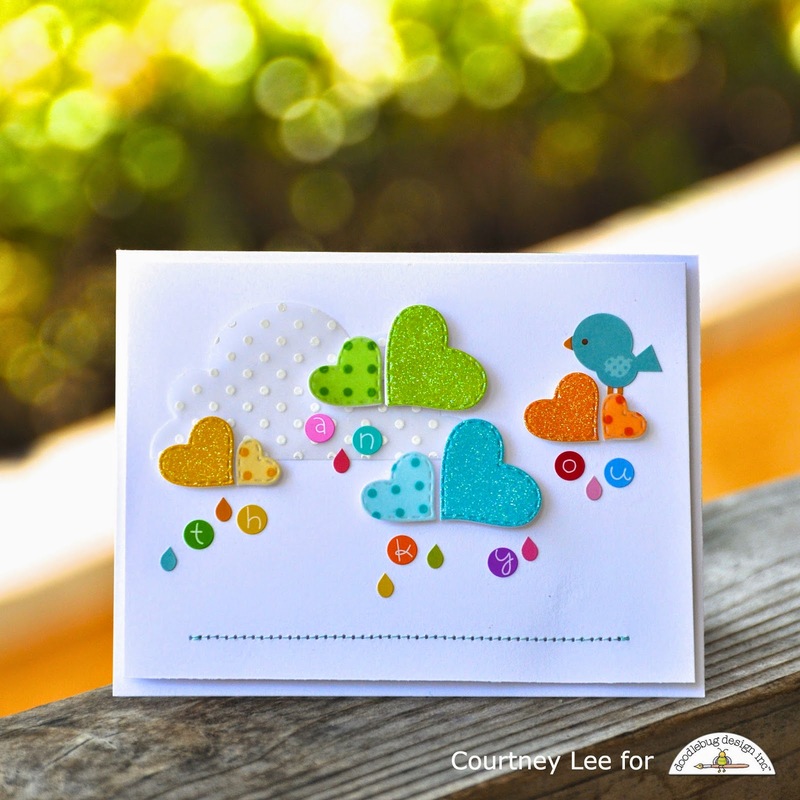 Since the vellum comes in all the great Doodlebug colors it's so easy to find a color or shade to match every Doodlebug collection. 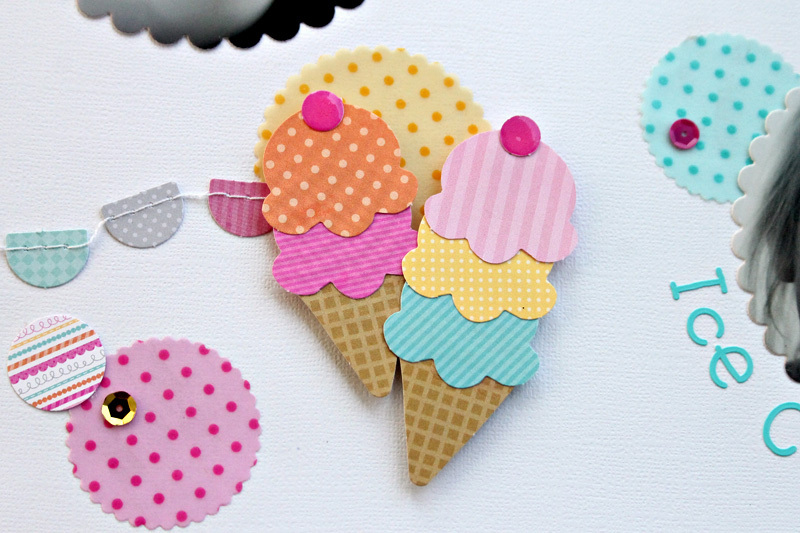 I have been dying to use these great mix and match ice cream cones that are part of the Sugar Shoppe collection (my fav Doodlebug collection!) and since I wanted them to stand out on my layout, I choose to use plain white cardstock as my base and vellum to add layers. Adhering vellum can sometimes be intimidating to some, including myself, so I choose to use regular ATG tape strategically placed on my vellum pieces to hide my tape. Since I was layering a lot of different pieces on my layout, I made sure to place my tape in a spot that would be covered with another element. Isn't this vellum SO much fun? 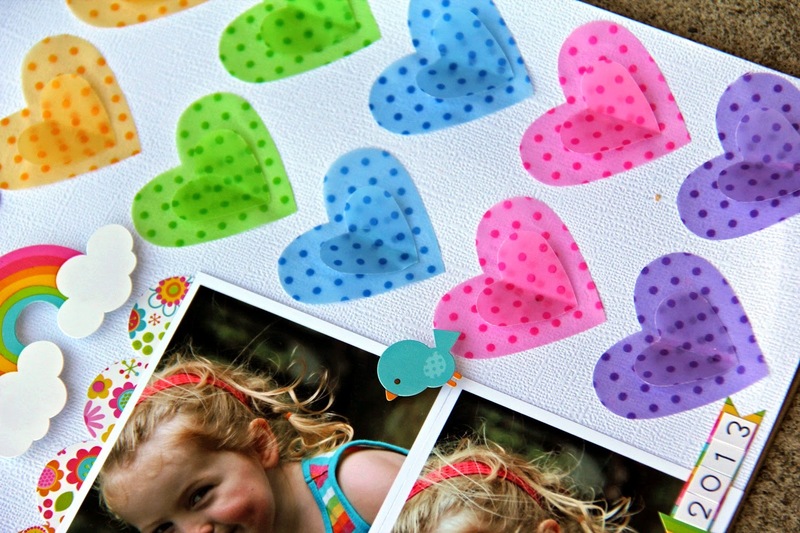 I can see myself adding a little to almost every project in the future (much like my Doodlebug sequins!). It's Mendi here today and I am happy to be sharing a must have staple to any paper crafter's arsenal: Vellum! But not just any vellum, Sprinkles Vellum. I am smitten. I love it's translucent quality and those sweet little raised glossy polka-dots! 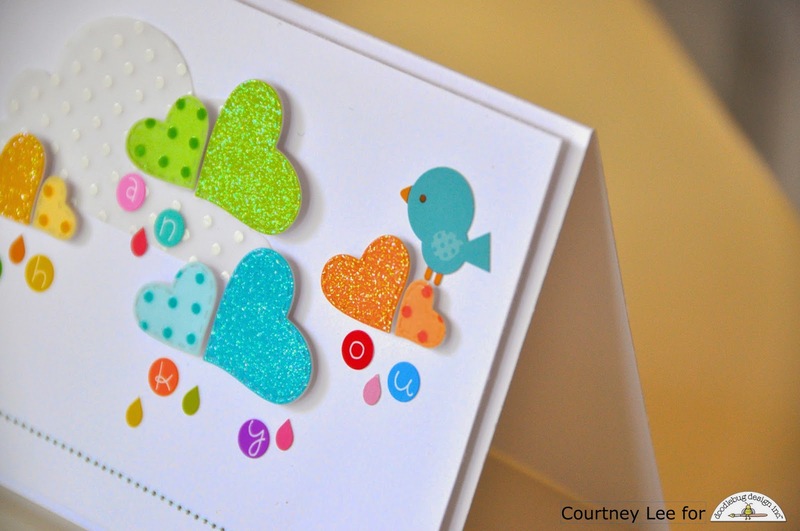 To form my diamond background I altered and cropped a square lattice card design on my Silhouette software and then cut diamonds slightly larger from different colors of the sprinkles vellum which I glued with a Zig glue pen to the backside. I embellished the design with sugar coated brads applied at each point. 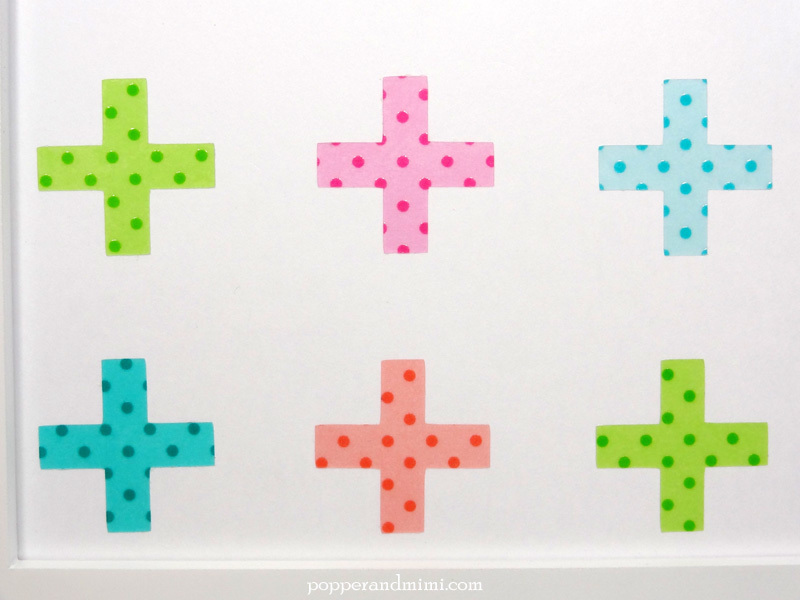 To repeat my color scheme I used small tone-on-tone polka-dot (and striped) prints from various 6x6 collection pads for my journaling strips. I love that Doodlebug has a consistent color scheme year after year so I know I will always be able to mix and match. 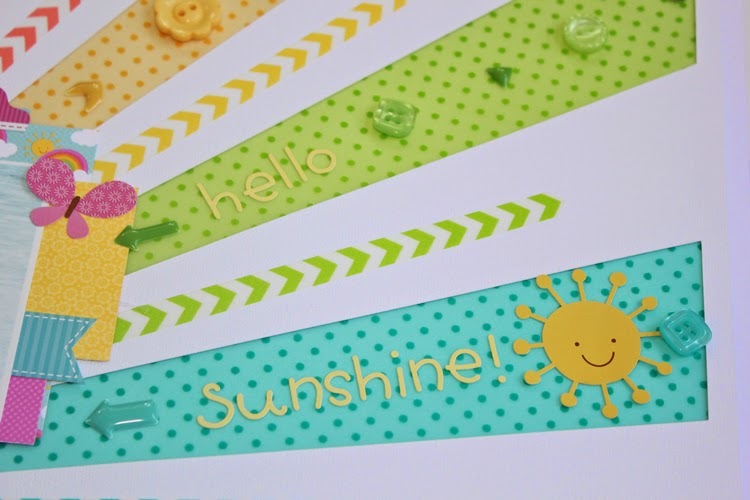 I hope you enjoyed the tutorial today, and I hope the happy Doodlebug colors put a smile your face! 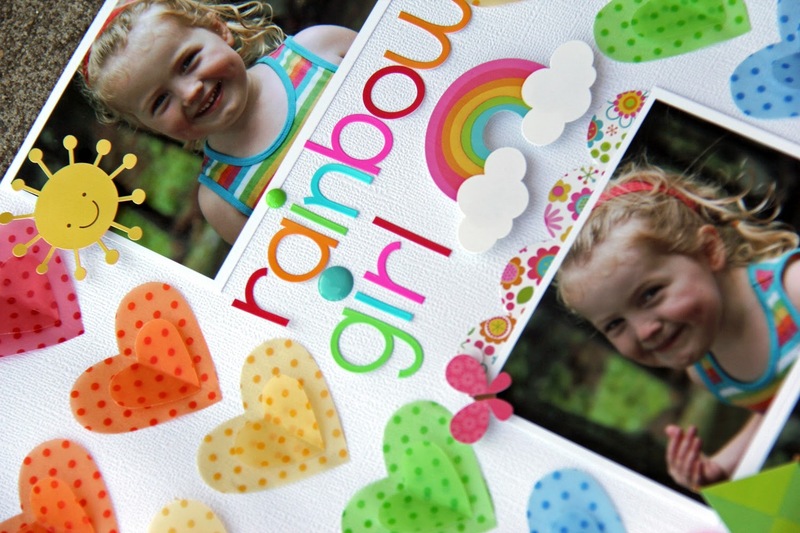 Thanks for letting me share my Rainbow Girl with you! Hello Doodlebug friends! 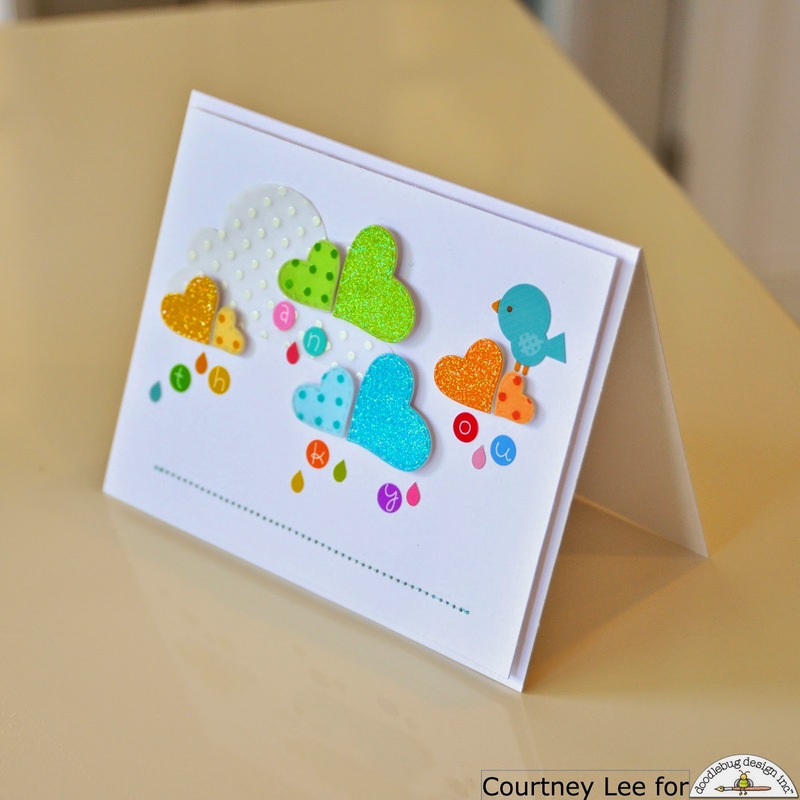 Aimee here with you today to show you my take on how to use that oh so delicious vellum from Doodlebug! I have this layout of my sweet girl in the pool with rays of colored sunshine. Let me get started explaining how this layout came together! 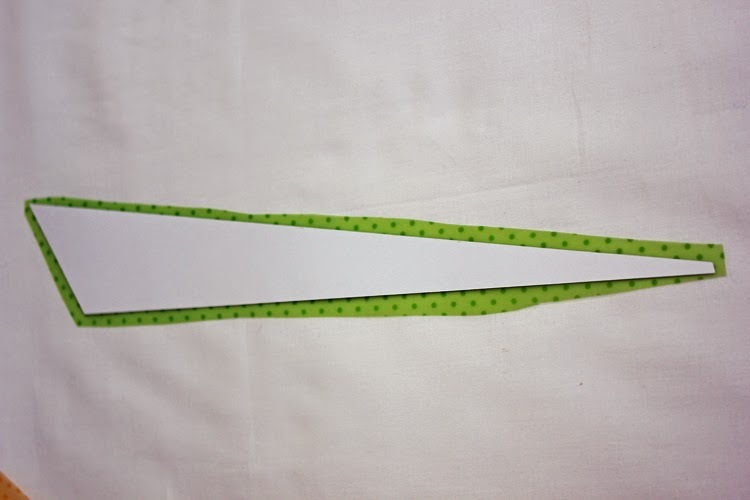 I used a sunray cut from the Silhouette Studio and saved the middle cuts to use as a guide so I would know where to cut out overlapping pieces of the vellum. Once I had all of my pieces cut out I started adhering the vellum pieces to the back of my die cut. The entire sunray cut was measured to be 11 1/2". Then I adhered that piece to a sheet of 12 x 12 white cardstock so the vellum colors would shine through. 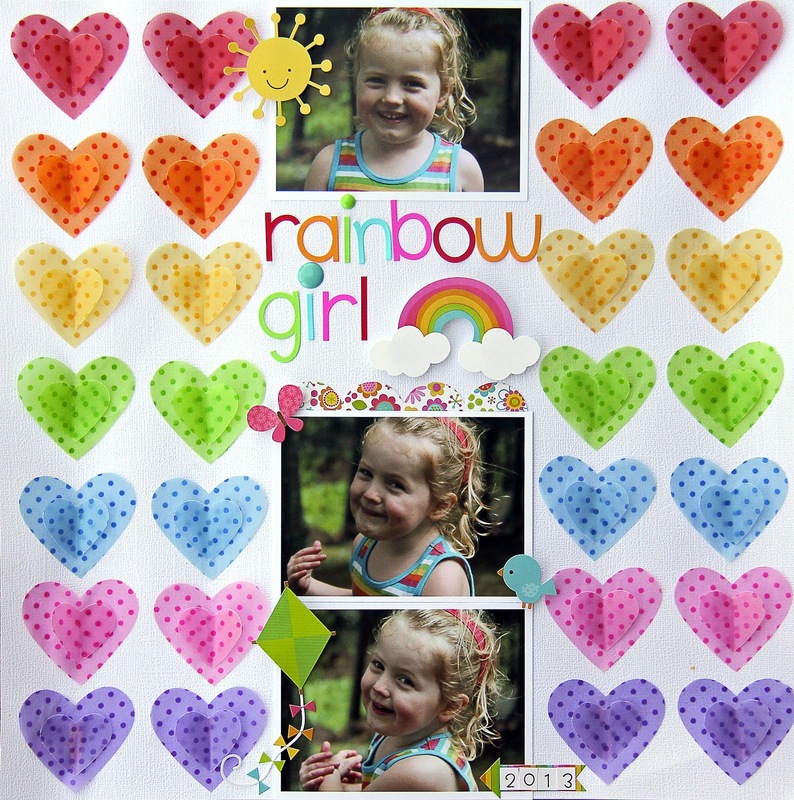 Once I had the main part of the layout completed I started decorating those beautiful rays of sunshine and around my photos! 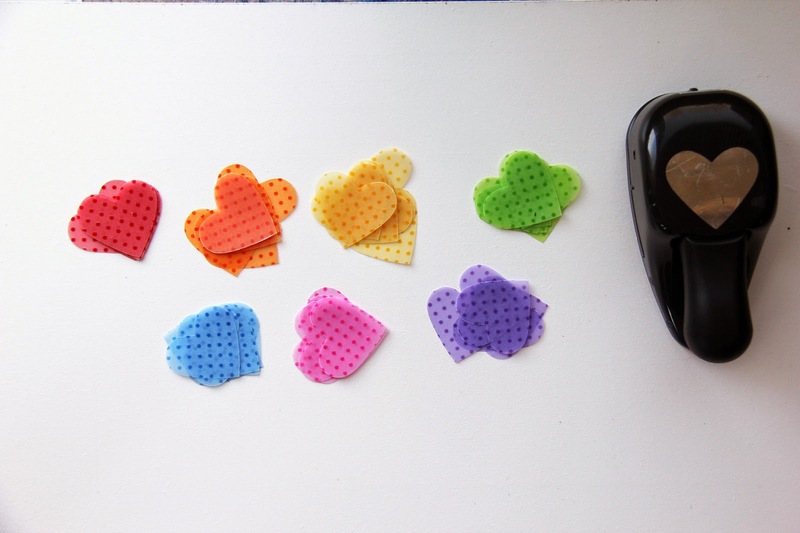 There are all types of matching embellishments from Doodlebug that were so much fun to use! I also brought in pieces from other collections that were a perfect match! If you'll look closely you'll see pieces from Fruit Stand, Sugar Shoppe, and Springtime. 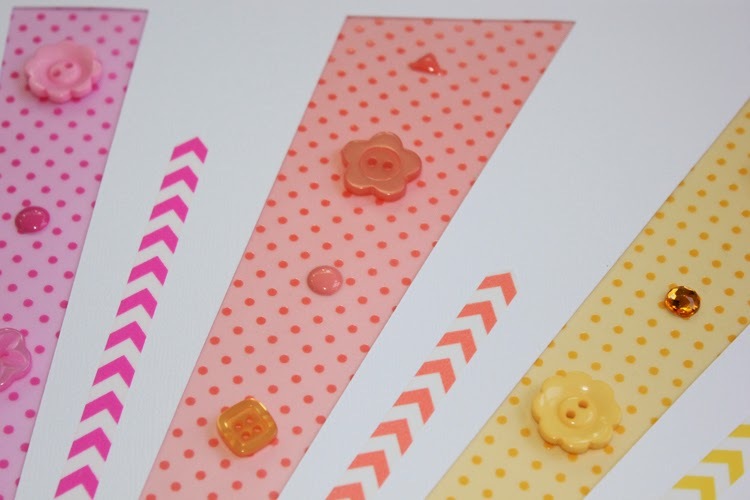 In this close up you'll see some of the staples of Doodlebug such as the buttons, Sprinkles, and the new washi tape that I used as additional sun rays! 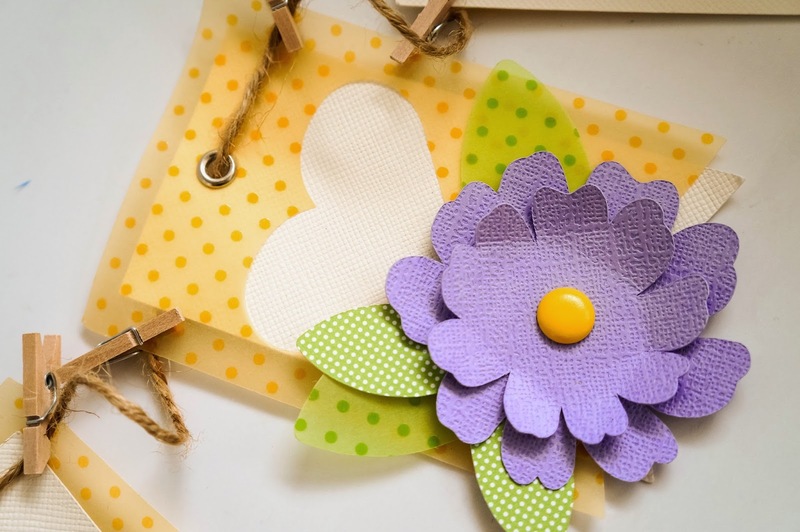 Thanks for stopping by today and hope you are enjoying all of the fun ways to add vellum to all of your scrappy projects! 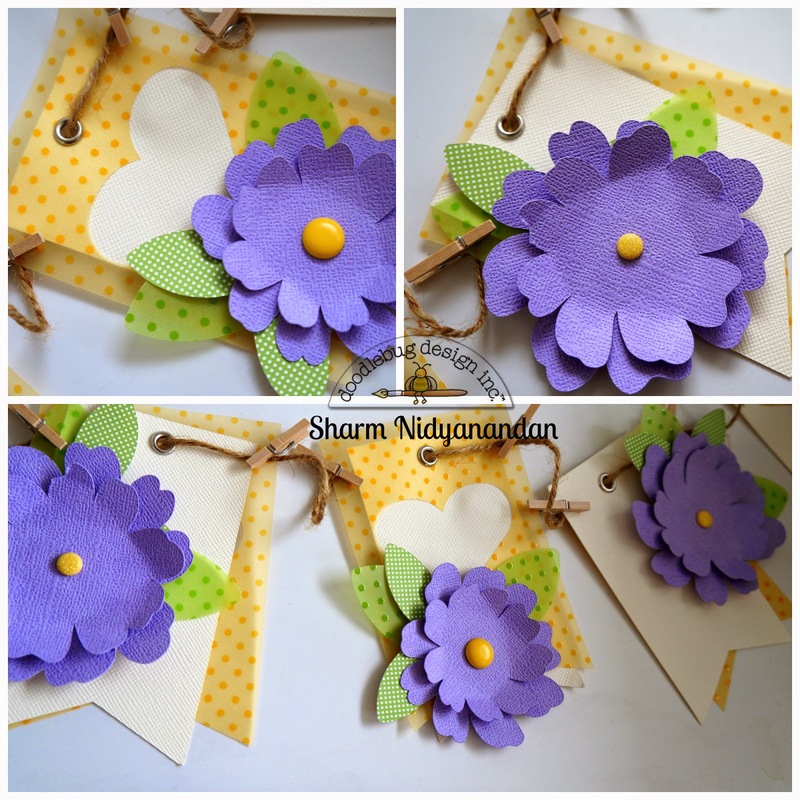 Hello there, it's Sharm here and this month the Design Team is sharing projects inspired by vellum. I'm sure you've been amazed by the inspiring projects so far. Today I'd like to share mine. It's a banner that I made for my little girl's birthday party which was to a tinkerbell theme. I knew the vellum paper by Doodlebug would be just perfect! Plus signs are everywhere! 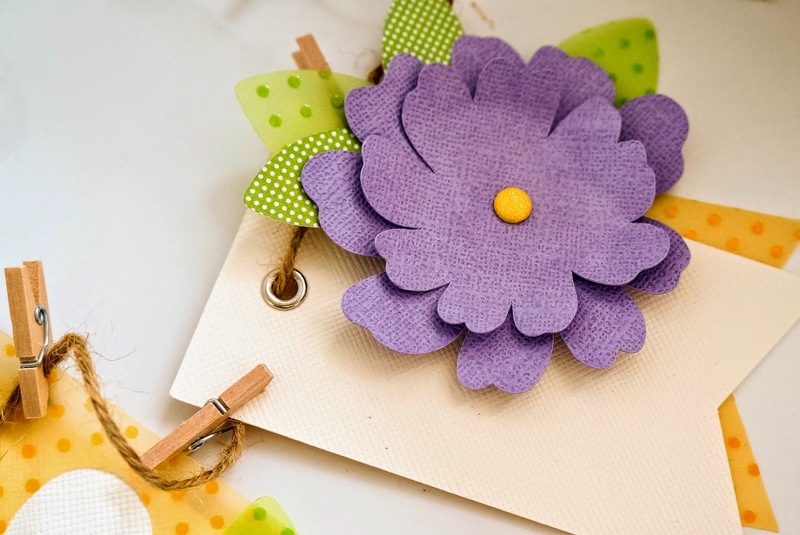 Amanda here today with a quick and easy piece of decor using trendy plus signs. 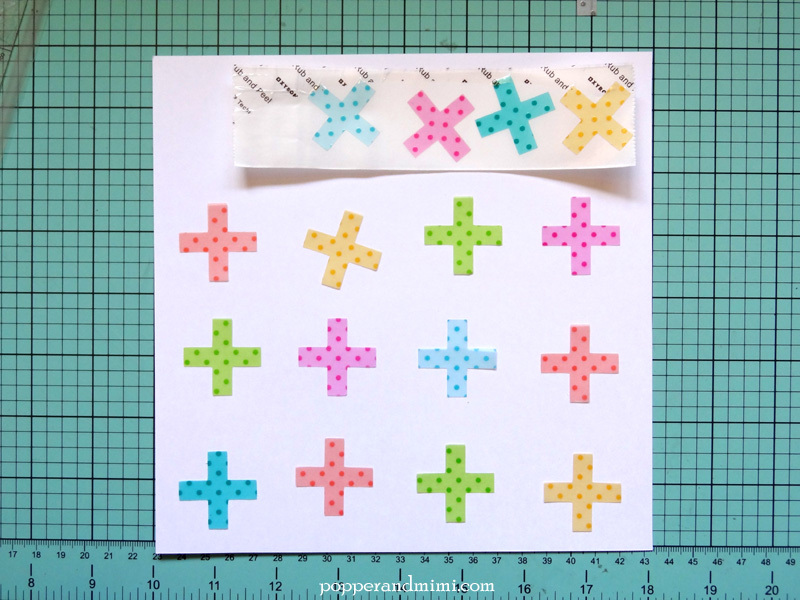 Inspired by a variety of plus sign decor I keep seeing on Pinterest, I decided to make my own small piece of colorful plus sign decor using the bright and cheery Doodlebug Sprinkles vellum. 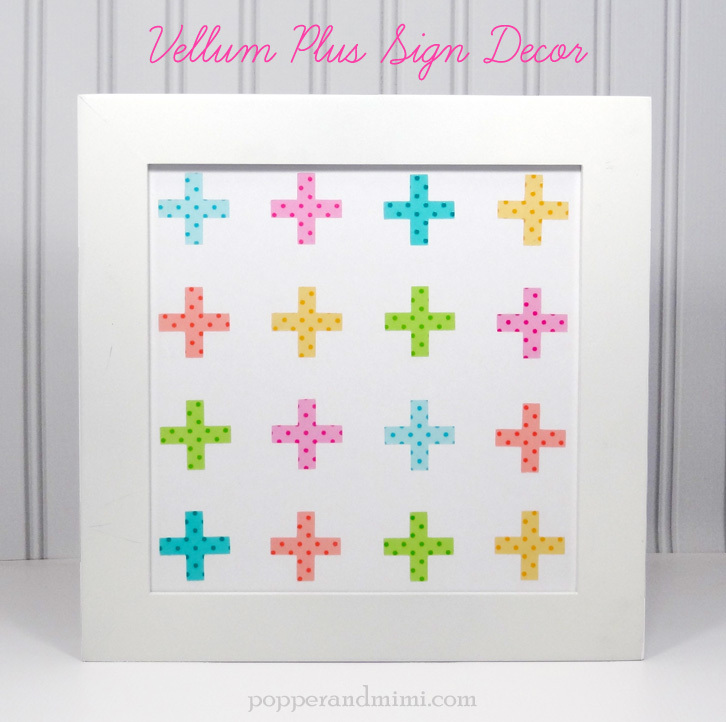 I created the plus signs simply by intersecting two identical rectangles in Silhouette Studio. 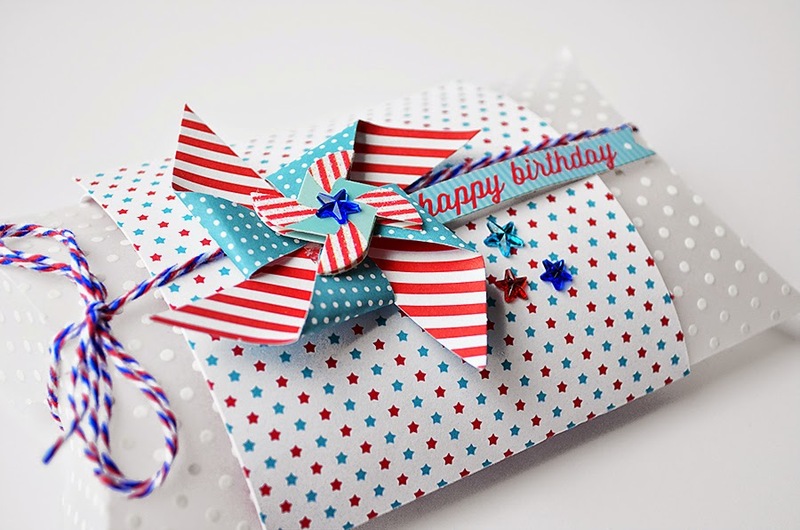 This simple design would be easy to recreate using any software program. 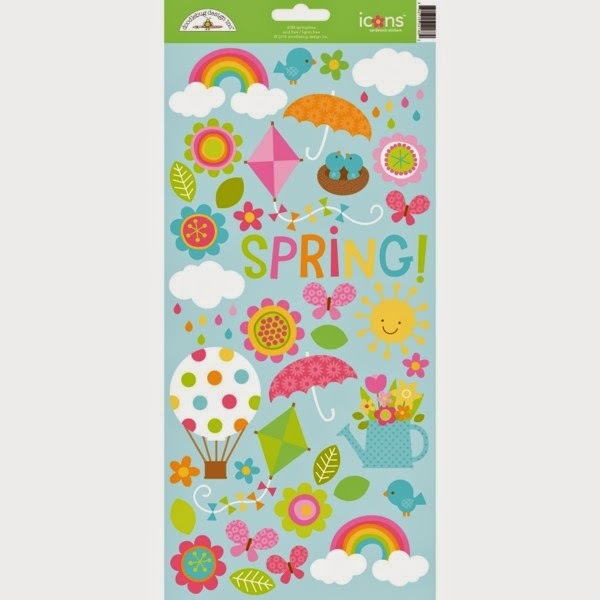 I picked a trendy combination of colors that would look fun in my daughter's room. 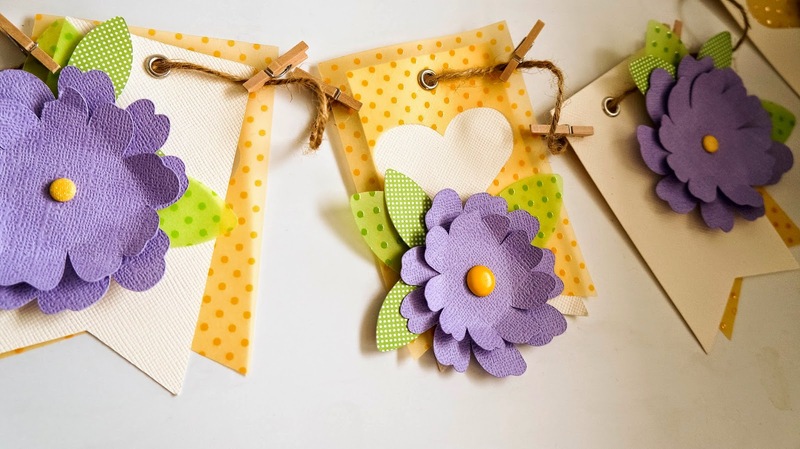 Pick your favorite Doodlebug colors to suit your own color scheme. Vellum and adhesive can be tricky together. 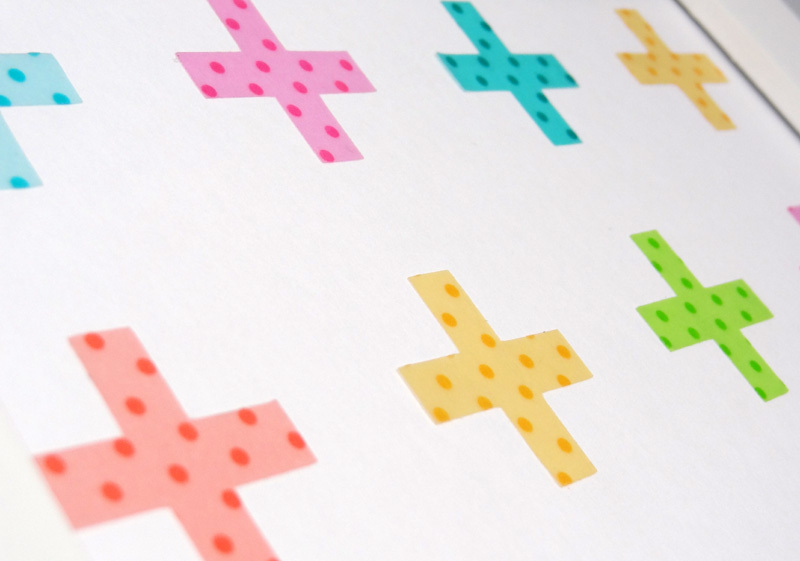 Choose adhesive that covers the entire design so it won't leave awkward or unsightly adhesive marks. I used my Xyron create-a-sticker to apply adhesive to the entire plus sign. 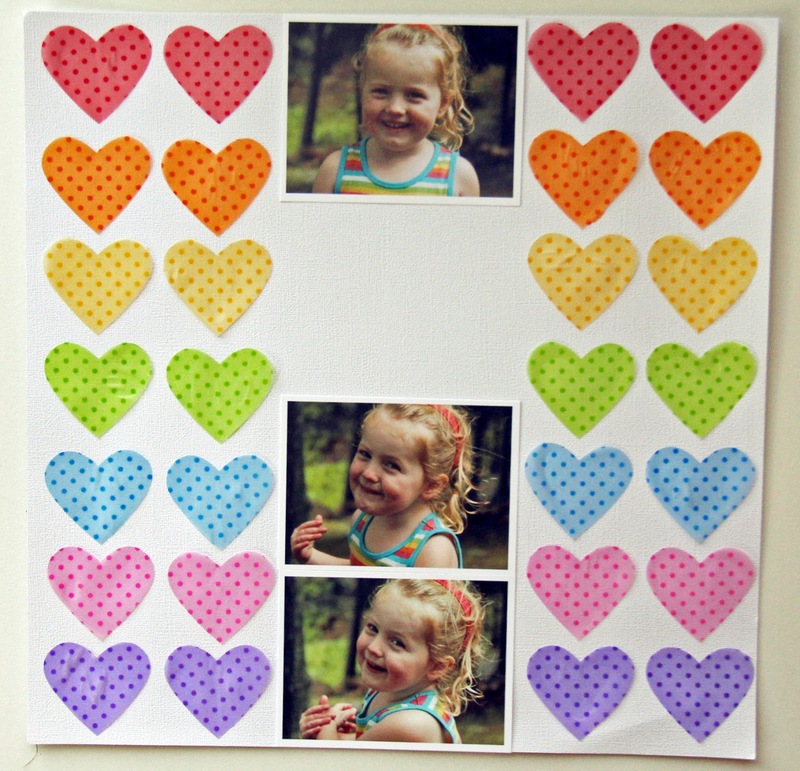 I used the grid on my cutting mat to help me place the plus signs.